We have partnered with Crankset Group from Denver, CO to offer our brands and network of business owners a unique, virtual growth environment. Our online 3to5 Clubs are comprised of a small mastermind group of business owners committed to two things: growing their business to maturity in 3-to-5 years, and helping each other do the same. We create an environment for brand owners, non-profit directors, and startup entrepreneurs to build a small network of strategic alliance partners who are focused on sharing life and business together and who bring business to each other for years to come. Focusing and reaching business maturity dates in committed community, business owners are driven to build companies that produce both time and money, allowing them to lead lives of significance. 3to5 Club has radically changed our perspective on business and has fueled our growth ever since we began implementing the systems and processes. We are launching 3to5 Clubs for our brands and network of business owners because we have seen it work in our own company and are excited to share that success with others. We have two trained facilitators at Ambactus Group and we use our partnership with 3to5 Clubs to help brand owners make more money in less time, get off the treadmill, and get back to the passion that brought them into business in the first place. Open to food manufacturers and small companies in any industry, our virtual groups are the most foundational service we offer for helping accelerate a client’s business. For those companies in the food industry, we are excited to offer a tailored approach that not only covers the foundations of business, but also the foundations of our complex industry. Mark Johnson, our Director of Marketing and Operations, will facilitate our inaugural group. Mark brings experience facilitating entrepreneur groups at both the University of Georgia and Kennesaw State University, where he also helped integrate Chuck Blakeman’s first two books, Making Money is Killing Your Business and Why Employees Are Always a Bad Idea, into the course curriculum. He also holds an M.S. from Richmont Graduate University where he learned to apply coaching and counseling perspectives to the unique mental health challenges faced by every entrepreneur. Mark first met Chuck back in 2012 and has trained to launch his first club ever since. The power of these groups is not in who is facilitating them, but in the committed community created by having a group of business owners focused on the same goal: building their companies to maturity. I have always believed that people are more successful when they have community and family, especially when they share a common vision. I plan on using the 3to5 Club format to help business owners put the pieces in place that make companies grow while at the same time helping them develop deep relationships with other business owners who are trying to do the same. Members who join our 3to5 Club also join a growing community of business owners from around the world. 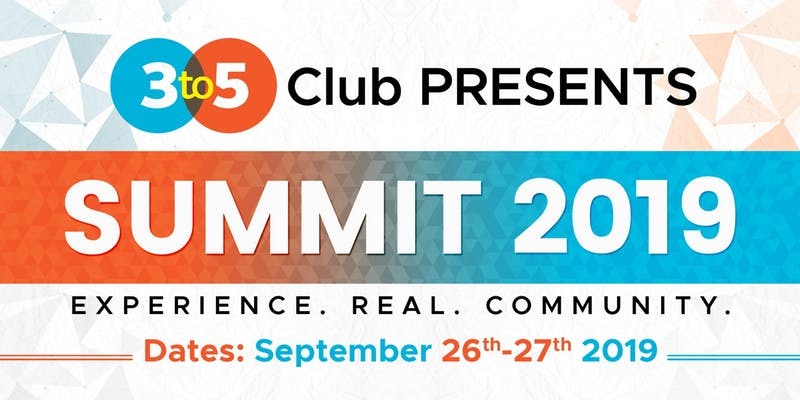 The network of relationships extends to other clubs, including an opportunity to meet other 3to5 Club members in person at the annual 3to5 Club Summit in Denver, CO. Founding members will also receive additional coaching on the 3to5 Club model, and all members can secure additional consulting if they would like hands-on help at implementing the 3to5 Club system.